There's a lot of heart packed into Karron Goodman's small frame, even though she comes off as soft-spoken and unassuming. A hairdresser in Nixa, she wears her long red tresses in ringlets that frame her face. Her appearance is so fetching, you might suspect she primps all day. But looks can be deceiving, it is said, and when it comes to 41-year-old Goodman, the axiom is true. She's not afraid to get her hands dirty ? in fact, she relishes it. When Goodman begins her day at the salon she's already been up for awhile, since she rises with the sun. On May, 1 Girard Forest will once again ring with the sound of hoof-beats as the Tenterfield Endurance Riders Club hosts its 20th Anniversary Ride. The Club was formed in 1985 with a view to running a Bicentennial Endurance Ride of 160km in 1988. Its inaugural training ride in 1986 was followed by an 80km ride in 1987. By this time the Club had an enthusiastic core of riders and a strong working committee. Affiliation with the Queensland Endurance Riding Association resulted in the granting of the Queensland Championships being run in conjunction with the historic Bicentennial Ride in 1988. Hugh Bridle was the youngest local rider to successfully complete this ride. HIS Majesty King Hamad's Endurance Horseride Championship, starting today at 4am at the Endurance Village premises in Sakhir, is carrying a cash prize of BD50,000. Riders from the GCC and other Arab countries arrived yesterday to take part in this prestigious competition sponsored by Al Areen Desert Spa and Resort. Races will be held in two categories - seniors and juniors. Seventy five riders are taking part in the seniors race while 35 are in the fray in the juniors section. Endurance Riding - What Is It? Endurance Riding is a partnership sport where horses and riders have to function as a cooperative team in order to complete a measured course within a maximum period of time in sound condition. There are a variety of distances included in endurance riding. The shortest are the practice rides - Limited Distance. LD rides are generally 25-35 miles long, and have to be completed in 6-7 hours. Endurance rides start at 50 miles and frequently are 100 miles. 50-mile rides must be completed in 12 hours, while 100 mile riders have 24 hours in which to complete. 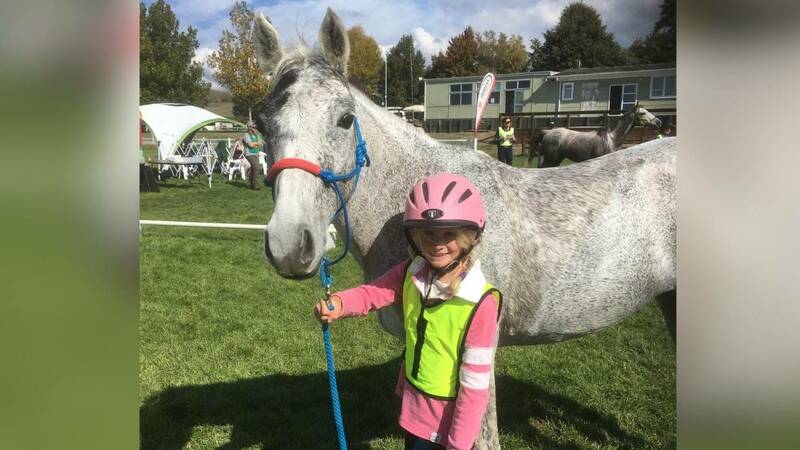 The next step is the Multi-day rides - where horse and rider teams compete for a series of days completing several hundred miles in a weekend or week. I spent a most interesting morning with World Champion Endurance Rider Valerie Kanavy and her husband Larry. I understand that Valerie Kanavy has won more 100-mile races than any person in endurance racing history. When Ms. Kanavy won world endurance racing championships in Dubai and in the Netherlands, she finished almost a mile ahead of the second place rider. In one of those races, her winning horse that had galloped (not cantered) more than 80 of the 100-miles was so strong at the end of the 100-mile race, it did not want to stop after the finish line; they could hardly control it during its cool down. It damaged the horse trailer on its way home and Valerie's winning racehorse was so high for three or four days after that 100-mile race, they could hardly lead it around. It was physically and mentally ready to race another 100 miles the very next day. The American College of Veterinary Internal Medicine (ACVIM) recently released its consensus statement on guidelines for treatment, control, and prevention of strangles, which is caused by Streptococcus equi. The 12-page paper took about a year to complete and reflects the input of researchers and veterinary clinicians across the country. Abu Dhabi: Shaikh Hazza Bin Zayed Al Nahyan on Mindari Aenzac proved too good for his rivals and win the 120-km GCC Seniors Championship in Doha, Qatar yesterday. Shaikh Hazza completed the 120-km ride ahead of 36 other riders from the GCC countries in a timing of 5 hrs 41 mins and 03 secs with an average speed of 20.69 kmph. THE Bahrain national endurance horseride team accomplished a new achievement by winning two titles in the third GCC Endurance Horseride Championship in Doha yesterday. SHAIKH Faisal bin Rashid Al Khalifa will lead the Bahrain national endurance team in the third GCC Championship scheduled for Saturday in Doha, Qatar. A team of 11 riders, representing stables of the Royal Endurance Team, Al Sayel, Ahmed Al Fateh and Al Talia, was approved by the Bahrain Royal Equestrian and Endurance Federation president Shaikh Nasser bin Hamad Al Khalifa.